The Junior League of Greenwich (JLG) is supporting 40 new mothers through its annual Baby Bundles project, in partnership with Neighbor to Neighbor. Neighbor to Neighbor is a Greenwich based non-profit food and clothing resource for residents, and has been a vital member of the Greenwich community for over 40 years. Neighbor to Neighbor relies on the generosity of donations to provide these essential services. The goal is to supply new mothers with a baby bundle, which is a starter set of supplies to assist them in welcoming a new baby home. The Baby Bundles project will provide new mothers with supplies not available to them at the food and clothing pantry. 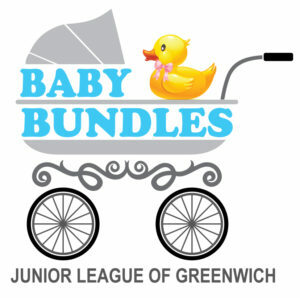 On Saturday, May 5, Junior League members will provide the new mothers with their Baby Bundles. If you would like to help support this impactful project, please feel free to take a look at the Amazon Wish List at http://a.co/fRYqbTB. The items can be mailed directly to the Junior League from Amazon. Or, one may stop by the Junior League of Greenwich Headquarters located at 231 East Putnam Avenue, Greenwich to drop off any donations. The Junior League will be accepting donations until April 30, 2018.